If you need water line repair in NJ , sewer relining, sewer repair or replacement, or sewer camera inspection in New Jersey Sewer camera inspection is one of the best ways for a NJ sewer repair company to accurately identify and fix a plumbing problem. Sewer repair services is often needed on residential properties when parts of the NJ sewer pipe crack, break completely, or sinks downward into the ground. 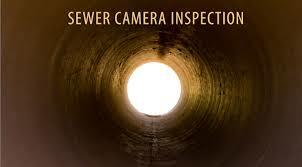 Sewer camera inspection uses the latest in video technology. 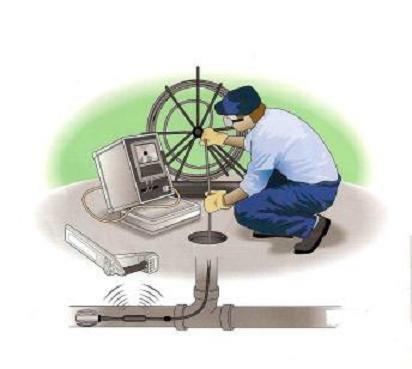 The sewer cameras are available from companies like Envirosight, Aries Industries, and Insight Vision and uses fiber optic cameras that connect to a monitor via a CCTV system, allowing professionals to look up close at exactly what’s going on down in your sewer. Sewer camera inspection lets us see right into the sewer pipe. 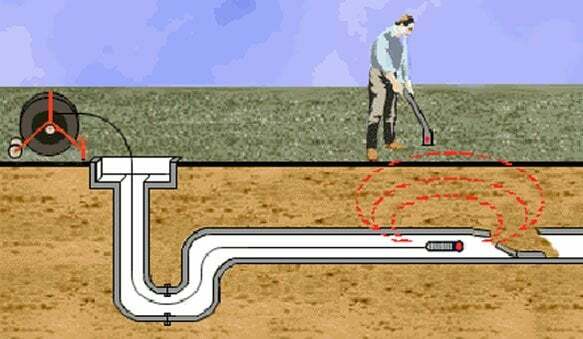 A long cord with a sewer camera attached to the end is fed through the sewer line and lets us see exactly what is going on inside the sewer line. We can see a simple sewer clog, a broken pipe, a cracked pipe, tree roots clogging the line, a sewer belly, a variety of plumbing problems that may exist that we can fix easily before they become sewer repair or sewer replacement, which is a more costly and time consuming job. If you have sewer clogs relatively often, give us a call at 201-645-0888 as experienced NJ plumbers we can provide an affordable inspection and solve your plumbing problem before it becomes a bigger issue. We routinely use sewer camera inspection in NJ before beginning to perform sewer main repair at New Jersey homes and businesses, so that we can make sure we’ve correctly identified the plumbing problem and can give an accurate estimate. Invasive tree roots. Tree root systems often grow into your sewer lines through small openings or cracks in the pipes, causing blockage, pipe damage, and other problems. Pipe “bellying.” Sections of sewer pipe can buckle downward, a phenomenon referred to as a “bellied pipe.” This obstructs normal water flow and strains the pipes. Cracked or broken sewer lines. Sewer camera inspection can also pinpoint the location and size of cracks or breaks in the sewer line, which can often be fixed with trenchless sewer main repair techniques. If you’re dealing with perpetually clogged fixtures, sewage smells, basement flooding, and other signs of a broken or clogged sewer main line, don’t wait for fast, professional repairs. Call us now at A1 Sewer & Drain for fast, effective sewer main repair, at 201-645-0888. I am learned about Sewer repair by reading your important Post. Thank You.